September 26th was the worldwide official launch of DSpatial™ at the MIX Sound for Film event in Los Angeles Sony Studios. DSpatial™ offers an integrated and seamless solution for immersive audio mixing which redefines the classical concepts of reverb, panning and mixing, unifying them into a single space and providing a new paradigm for the sound production and mixing for film and virtual reality. This simple but powerful paradigm let the engineers concentrate on the creative process and provides a tool to create and manipulate sound in a completely new way. DSpatial´s key feature is a proprietary Physical Modeling Engine, which allows the user to realistically recreate real spaces and locate, move and rotate sound sources in real time, transporting the listener to a new, virtual yet realistic dimension, therefore magnifying the aural experience and recreating natural soundscapes that rival reality. Physical properties like the inertia and doppler effects are created automatically by simply moving the sound sources. Adding more and more channels increases dramatically the complexity of an immersive sound mix. DSpatial directly addresses this by simplifying the problem at its core. 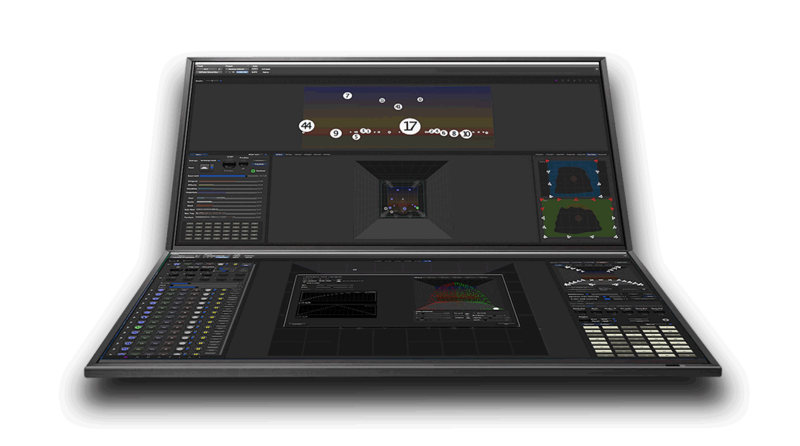 With its multi-touch screen DSpatial opens up a whole new field of creative possibilities for the film mixer and sound designer by empowering them whilst simplifying processes. DSpatial is compatible with all immersive or non-immersive formats. The mix is played back in every format without the need to downmix. The number of input and output channels is only limited by the number of interfaces and by the power of the host computer. DSpatial is fully integrated with Pro Tools.